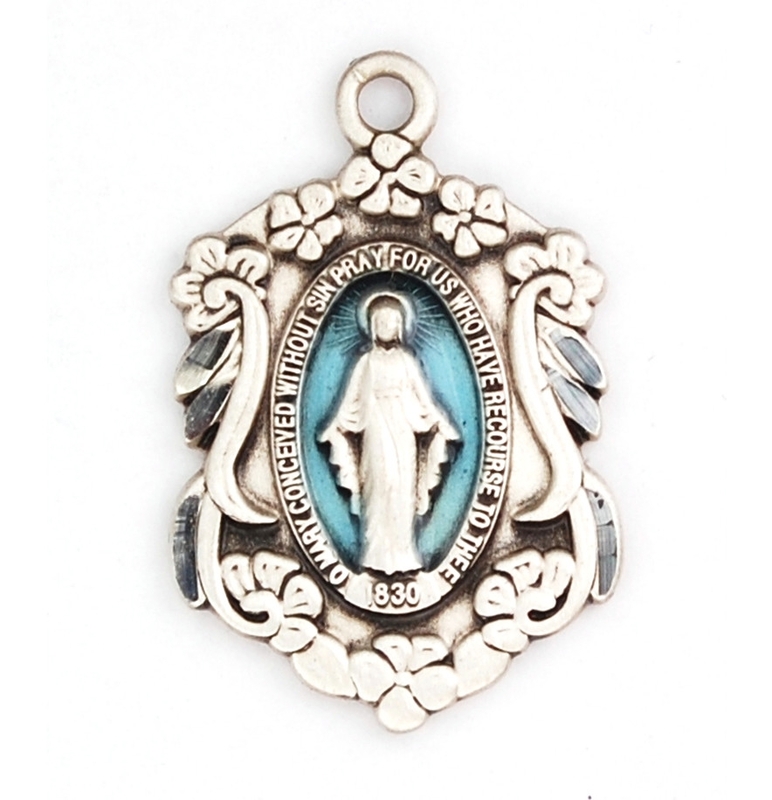 Sterling silver medal with blue enamel inlay. This medal includes an 18” rhodium plated chain. Our Lady of Perpetual Help Small Sterling Medal Sterling Silver Miraculous Medal L311MI 14 KT Gold Our Lady of Lourdes Medal, Medium Size Catholic Medal, 3/4" x 1/2" Gold Filled Our Lady of Lourdes Pendant, Gold Filled Lite Curb Chain, Medium Size Catholic Medal, 3/4" x 1/2"
Sterling Silver Miraculous Medal L334MI 14 KT Gold Our Lady of Mercy Medal, Medium Size Catholic Medal, 3/4" x 1/2" Our Lady of Fatima 100th year Medal Sterling Silver Miraculous Pendant, Sterling Silver Lite Curb Chain, 3/4" x 1/2"